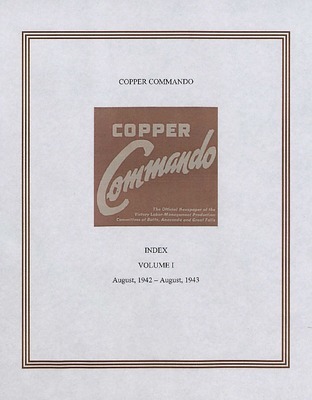 Index for volume 1 (Aug. 1942-Aug. 1945) lists personal names, places, subjects; page and issue numbers. 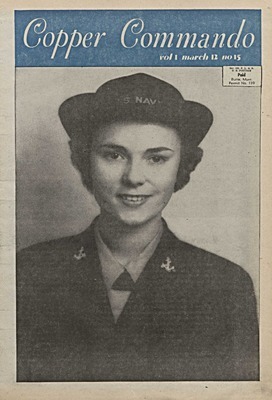 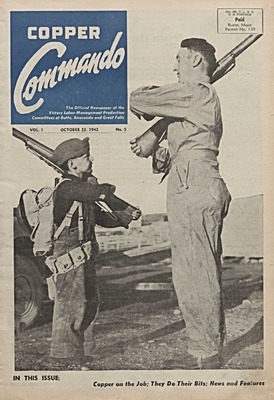 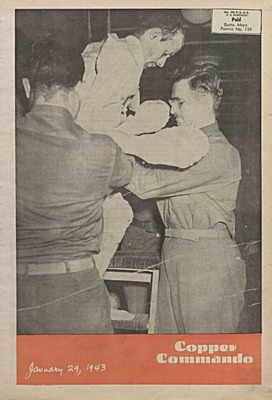 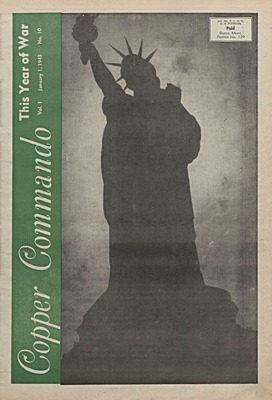 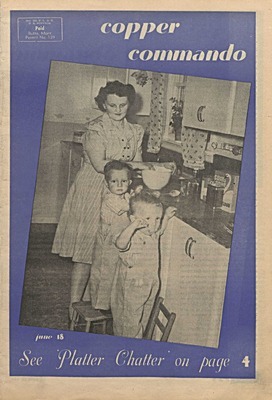 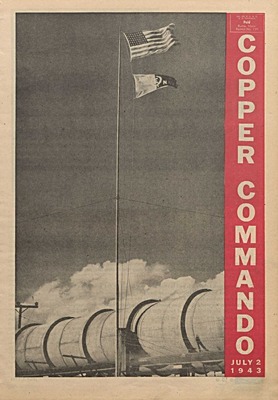 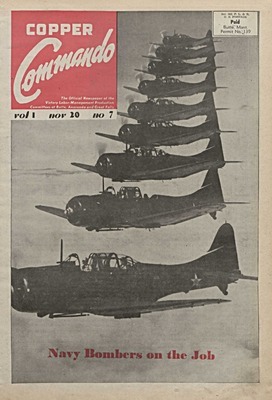 In this issue...Navy bombers, echelon formation, Thanksgiving, war, student stopes, training, Butte Mutual Labor Bureau, Lester Bishop, Bill Herbert, Homestake, homefront, Oscar Landet, Rifle Club, jungle, bushmasters, scrap, American Brass Co. 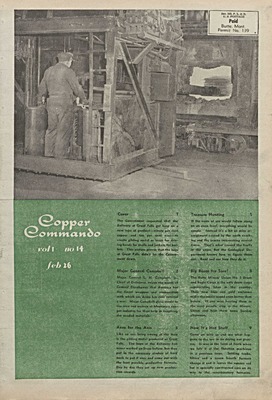 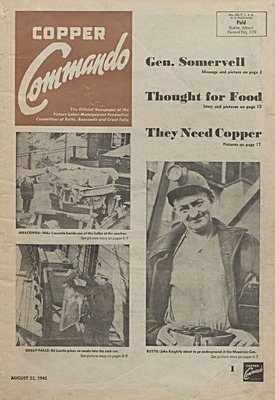 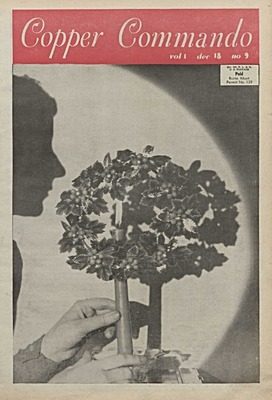 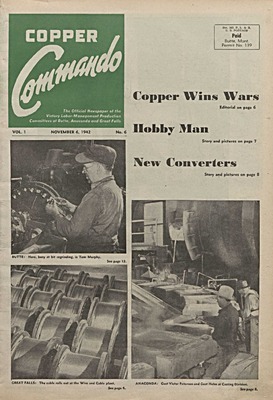 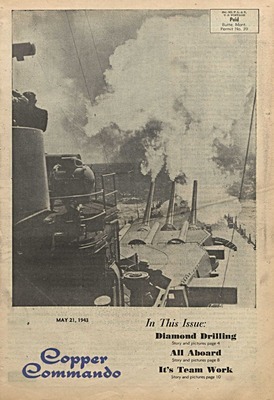 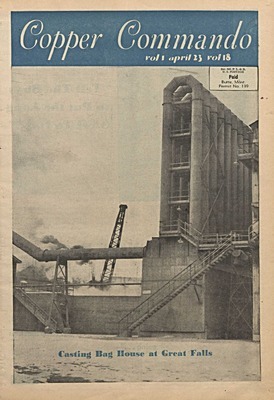 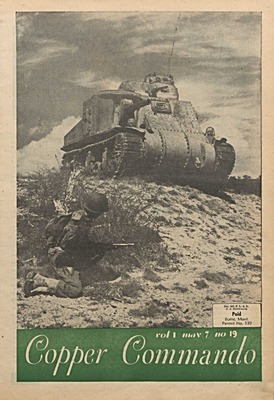 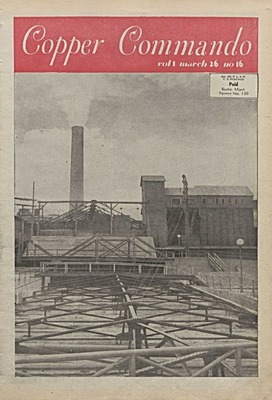 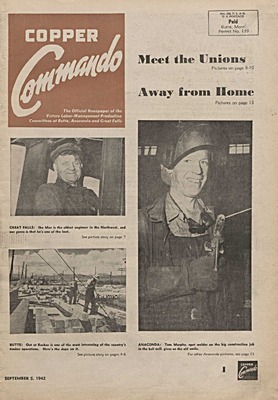 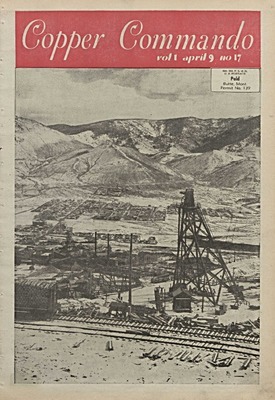 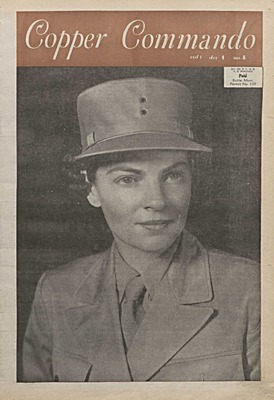 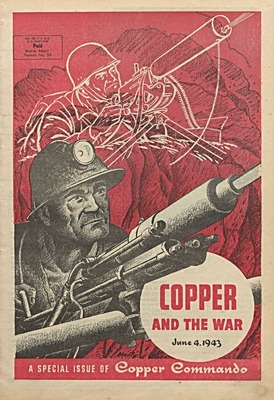 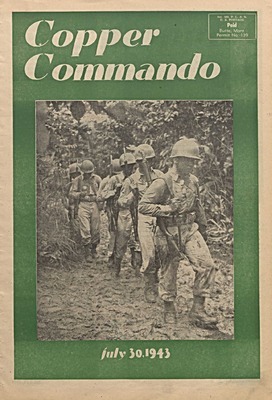 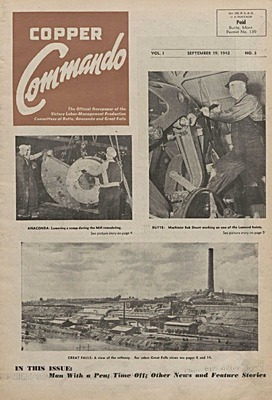 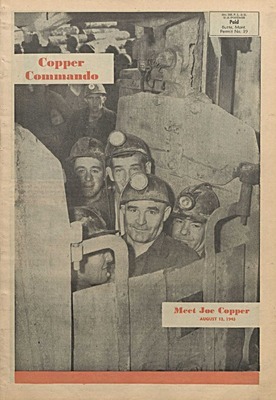 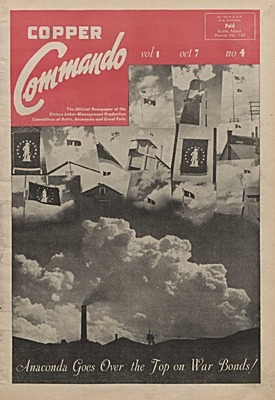 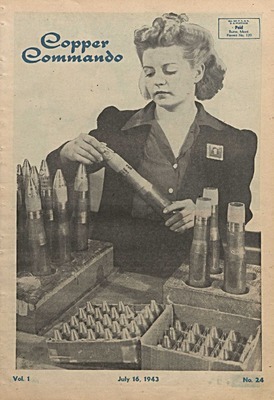 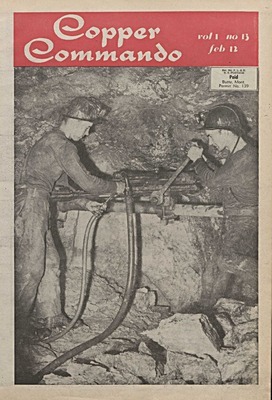 In this issue...American wounded, North Africa, home, J.C. Magee, Surgeon General, copper, medical supplies, concentrators, cadmium, Bud French, mine ore, floatation, zinc production, safety record, accidents, Hitler, Mussolini, Hirohito.